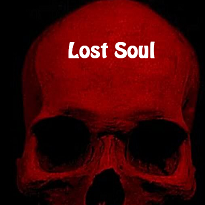 Lost Soul is a puzzle based Quest Maker game I made many years ago. You will need to solve various puzzles such as reading gravestones and figuring out correct paths and the components of a skeleton. It's not a perfect production and has not aged well, but it was a decent amount of work for me back in the day. As long as the game runs for you, it is a fully complete, beatable game. ©2013 Babymitchy.com and content is copy written by BabyMitchy. You may not reuse this information or content without my consent. ©2007 Night Vision. All Rights Reserved. • Design by FCT • Icons by FAMFAMFAM.